Although there wasn’t a lot of drifting, there were sweet cars everywhere and enough action to keep me buzzing all day. 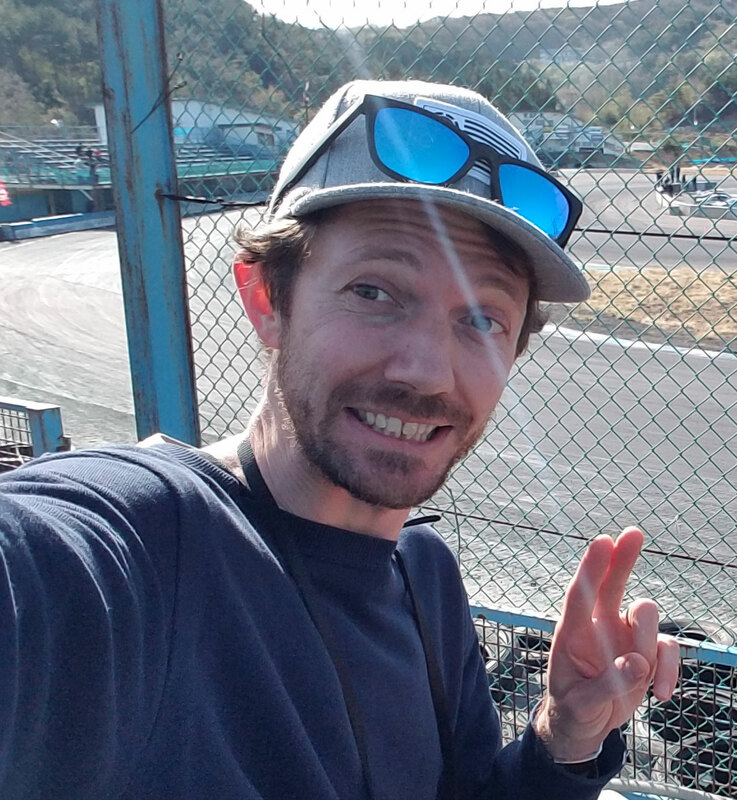 Yesterday I was off to Sugo to watch my friend race! First time to Sugo and was very impressed with the A class curcuit. It makes Ebisu look like a backyard job!! No offence. Ebisu still rocks! My friend is Kanazawa san. He owns a garage right near my house here in Nihonmatsu called ‘RGF’. He specializes in GTR’s and yep, you guessed it, he races a red R34 GTR!! Nice car ey?!! He was the second fastest racer on the day. He would have been the fastest but his ‘Full Tune’ 800hp RB26 blew up during the week at a practice session:(But his mechanics worked hard and built him a slightly tuned RB26 with around 680hp. Plus it was wet. I wouldn’t complain with either engine though!